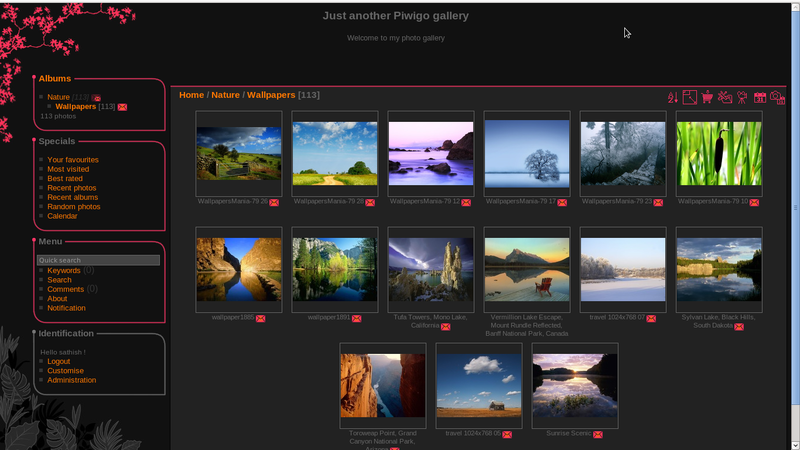 Piwigo is a free and open source photo gallery software for the web. It is similar to Flickr, a well known photo sharing website that allows us to share photos to our family, friends or to the public. If you have large collection of photos of your family or friends and want to share/store in your own server, then Piwigo is the best choice. Photos can be added via a web form, with an FTP client software, with digiKam, Shotwell, Lightroom, iPhoto (Mac users), Aperture (Mac users) or mobile applications for iPhone/iPad and Android. each photo is available in 9 sizes, from XXS to XXL, for improved compatibility with various screen resolutions (from smartphones to HDTVs). An administrator describes photos with tags, then visitors can browse photos by tags or multiple related tags, for example “night + Paris + John”. It’s web-based tool, we need a working LAMP stack. 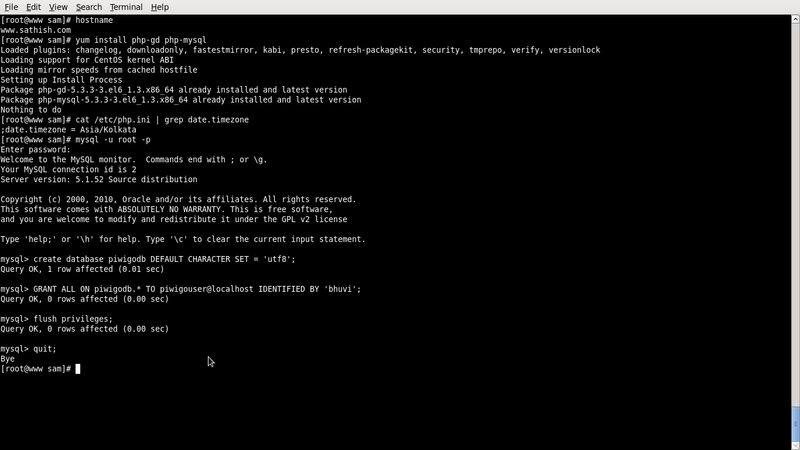 To install and configure LAMP server on CentOS, refer the following link. Make sure you have installed the following php extensions. Log in to your mysql server. Go to the Piwigo download page and get the latest version. Open your web browser and point to http://(ip-address or domain-name)/piwigo. Enter your database details which we created earlier and setup administrative user and password. Finally click Start Installation. Congratulations! Piwigo has been installed. Click on the Link that says: Visit the gallery or navigate to http://(ip-address or domain-name)/piwigo to visit the main page. Enter the username and password that you created in the previous steps. Initially, we don’thave any images. So let us upload some photos first. Click on the link that says: I want to add photos. We can directly add images to our account or create one or more Albums to organize your photos. 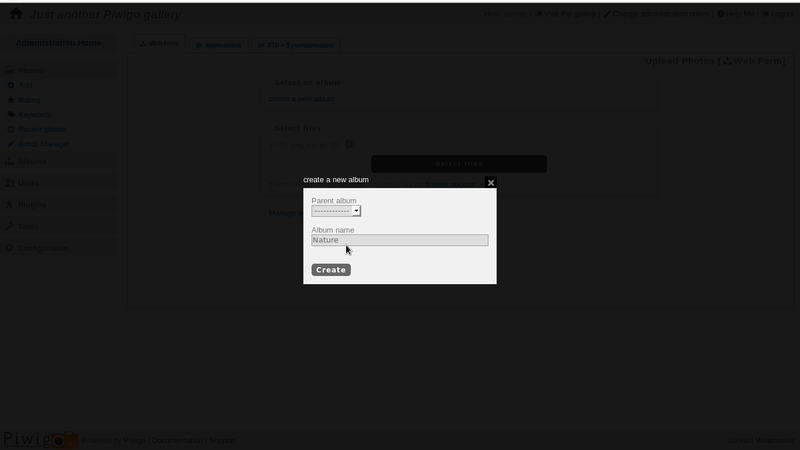 Make sure you are logged-in as the administrative user to create/edit/delete albums. Like this way you can create as many as albums you want. Also it’s possible to create unlimited sub albums under one album. Once the albums are created, let us upload some images to the albums. We can upload photos with the web form, any FTP client or a desktop application like digiKam, Shotwell, Lightroom, iPhoto, Aperture. iPhone/Android applications. Also you can make your photos private and decide who can see each of them using the Manage Permissions link under the Select files section. 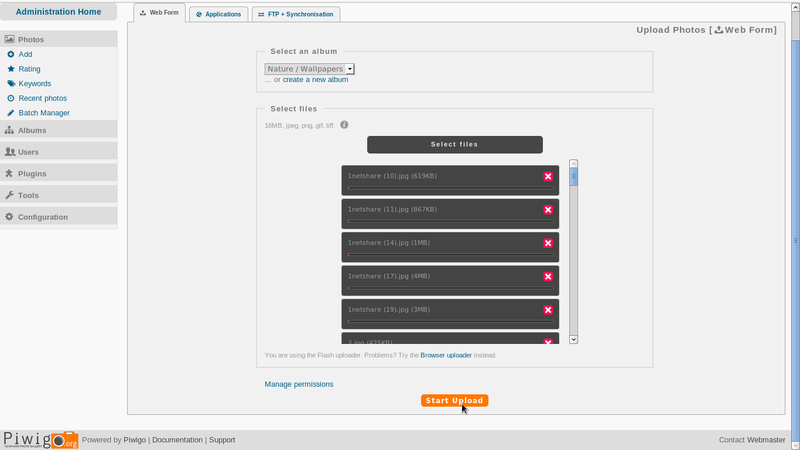 You can set permissions on albums and photos, for groups or individual users. If you want to change your Piwigo site name, image sizes, themes and can enable watermark options in the Configuration section. Once you done photo uploading and all necessary configurations, log out from the admin user. that’s it, now enjoy uploading your group photos for sharing…. Hi, thanks for this tutorial. It was really helpful to me, even though I didn’t realize it was relevant for CentOS and I needed to set-up Piwigo on my Ubuntu VPS. 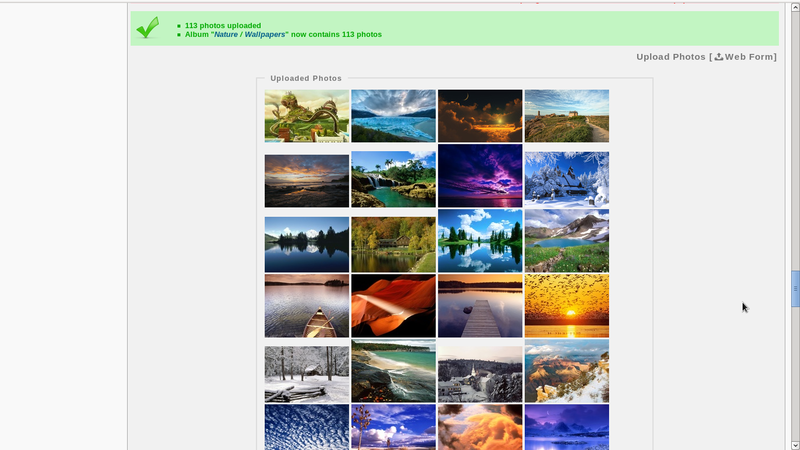 Finally, I managed to get it up and running using your guide as a walkthrough and http://www.rosehosting.com/blog/install-your-own-photo-gallery-using-piwigo-and-ubuntu-14-04-lts-vps/ to actually install the gallery. Thanks for your feedback and support.. Exceptional post however I was wondering if yyou could write a itte more on this subject? I’d be very grateful if you could elaborate a little bbit more. web site!I suppose its ok to use a few of youir ideas!! Many thanks. I have already been seeking this data. Wonderful data I’ll come back with regard to information related to this lemonade diet program virus, trojan.